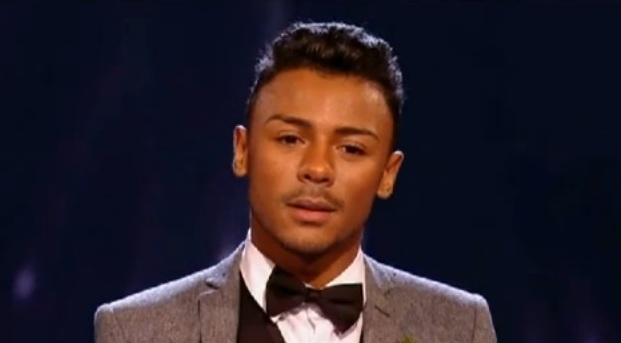 It’s got to that point now in The X Factor when you need to nail your colours to the mast and (for what it’s worth) I’m coming out in full, unabashed support for Marcus Collins. I may not have been bowled over by the fashion this year (apart from Jessie J’s gothic masterpiece on Sunday’s show) but Marcus has stolen my heart (and my vote). The vast majority of the highlights on the show so far have come courtesy of Mr. Collins imho. His Liverpool audition was crackalacking for starters – if you have never seen it, may I suggest you watch it now. Every week he’s got better and better. I love his sharp-dressed-li’l-man look, he is utterly beautiful – perfect pop star material – and his voice reminds me of a young Luther Vandross; silky, soulful, searing. When he did Higher and Higher (with the high note – at last, an X contestant with the balls to do a song properly) was I the only one jumping around my living room?? But, of all the performances, this was surely the game-changer…. Are you blubbing? Stevie Wonder’s Lately is one of my mum’s favourite songs – and one of Marcus’ mums faves too, probably for the same reason. And if it doesn’t stir something in you, you may be dead inside (check for a pulse at your earliest convenience). So there you have it. Fashion Detective has spoken. I’m convinced that Marcus is the first potential winner since Leona Lewis who could actually benefit from coming first, but the lack of standing ovation from the judges suggests that the public voting is too close to call this year. So vote for him, yeah? 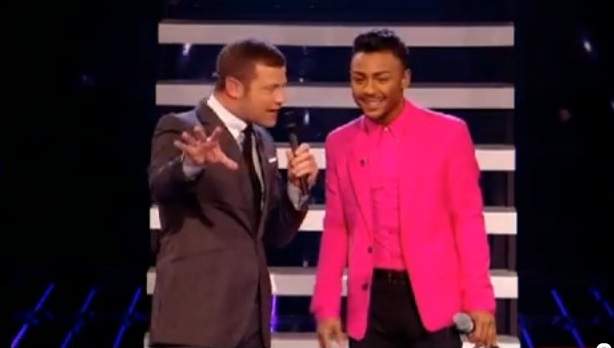 Screen grabs and footage from ITV.com/X Factor. The boy is sharp, but I fear him doing a ‘Leon Jackson’ (remember him?). Little Mix for me. And there’s more of them for you to style! This year has not been a good year for the X-Factor – and that’s not so much because of the singers, but because of the rubbish judges (and Louis is surprisingly not as awful as in the past, so we are really scraping here. Tulisa – why is she on it? She hasn’t got a clue. And Gary just lost it completely with his stupid comment about Carol Dekker, the man knows nothing and is so wooden! )I like Marcus and would be happy for him to win it this year. Rebecca should have won it last year, as she has an awesome voice and a great style. I find everyone else who is left a bit vanilla and Misha doesn’t do it for me. The awful song arrangements don’t help her and I hate it when they put a rap in the middle in most of her songs. Tulisa is my biggest issue tbh. She just looks so bloody mean. Her face during every performance… it’s so hard and emotionless she could turn you to stone. I know X Factor is all a big con, but you at least want to believe when you’re watching that the judges care about the contestants on the show. Kelly comes across really well but I don;t know what Gary Barlow was thinking of, signing up to do it. Very risky.